Moving a house? We understand what it feels like when you feel anxious when it comes to relocation. The thought of moving to a new house feels like fun at first but when you think of all the costs and everything that goes along with it, it gets a little annoying! Our removal service company Moving Service is able to help you with all your removal requirements in Petts Wood, BR5 including services such as hiring a man with a man, removal vans and furniture removals. Our services ensure that you will not break the bank and be able to have a safe, secure and professional move around Petts Wood. For more information, please call us directly during our working hours on 020 8746 4402 to allow our representatives to be able to assist you. It is a South Eastern Suburb of London, based in the London Borough of Bromley, situated North West of Orpington with a postcode of BR5. The name first appeared in 1577, recorded when the Pett Family who were shipbuilders by trade, leased the wood as source of their timber. One of the family members commemorated a sundial in the wood. Situated between Orpington and Beckley, it is home to Jubilee Country Park and houses many rare species of animal life that people all over the south east go to visit. Nearby areas include Southborough, St Mary Cray, St Pauls Cray, Farnborough, Green Street Green, Locksbottom, Sidcup, Elmstead as well as Bickley and Chislehurst. 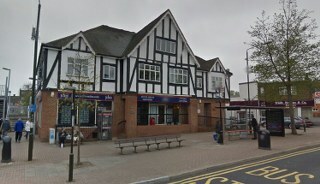 Transport in this area is well linked as Petts Wood Station serves the entire area with services to London Victoria, Charing Cross, Grove Park, Cannon Street, Lewisham, and Sevenoaks. It is served also very well by Transport for London buses that go to Penge, Bromley, Catford, Lewisham, and St Mary Cray. The area has quite a few place of worship including cathedrals, churches as well as pagan centres. It also has swimming and recreational facilities as well as a snooker club. Furniture removals around Petts Wood, BR5 are often heavy, tedious and demanding. And they can totally take your back out too, that’s if you already didn’t know that. Small removals in Petts Wood are something that is easy for you to undertake as most removals in London are done by car, however when it comes to the heavy hitters, we promise to be there for you! How amazing is that in all our years of relocation and removal services, we have come to understand that there is absolutely nothing like a professional company to rely on, to be able to move everything safely and swiftly. Moving Service takes pride on being able to help you move to your new place, feeling satisfied that our service helped you to get to your next path in life, using our experts as a stepping stone! Our movers are fast, reliable and super-efficient, making sure that everything you have requested as well as any additional services you may want, will be provided for you. Discover how we are able to make your moving dream of ease come true today by calling us on 020 8746 4402, today.